Home » Historical costumes. Africa, America, Oceania. 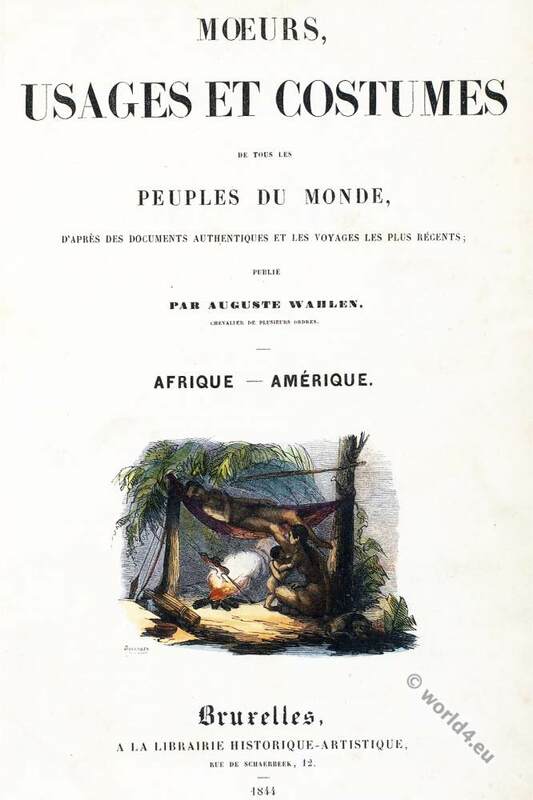 From the book: Manners, customs and costumes of all peoples of the world, based on authentic documents and the most recent trips by Auguste Wahlen, Knight of several Orders. Engrapher: François Pannemaker (1822-1900), Theophile Emanuel Duverger (1821-1894). Published: Brussels, 1843. Original book title: Mœurs, usages et costumes de tous les peuples du monde, d’après des documents and authentiques et les voyages des plus récents; Publié par Auguste Wahlen. 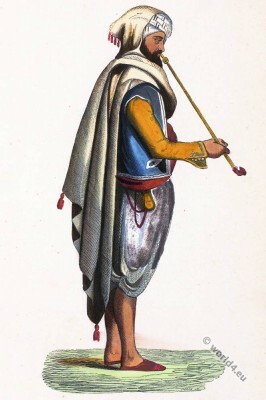 Chevalier de Plusieurs Orders. Europe. Bruxelles, a la Librairie Historique-Artistique, Rue de Schaerbeek, 12. 1844. Chapter three: Historical costumes from Africa, America and Oceania. 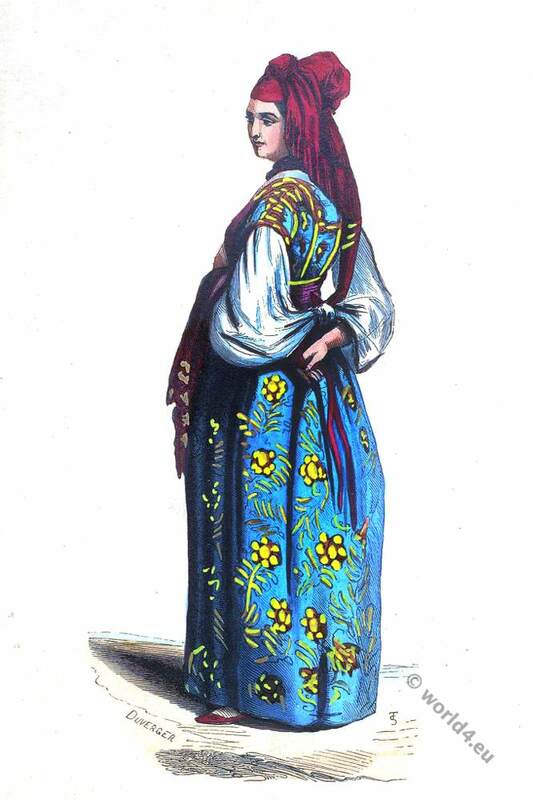 Chapter one: Historical European costumes. 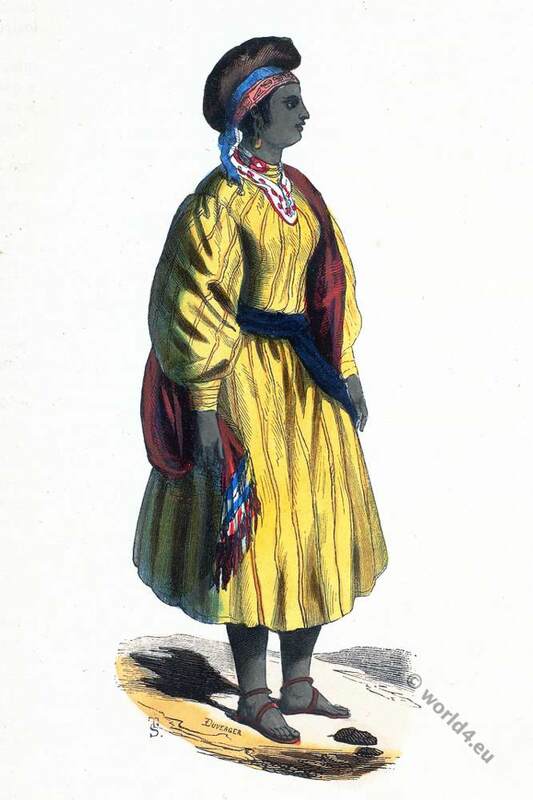 Chapter two: Historical Asian costumes. Africa. Girl from Socknanaise. Jeune fille Socknanaise. Arab Bedouin (Africa). 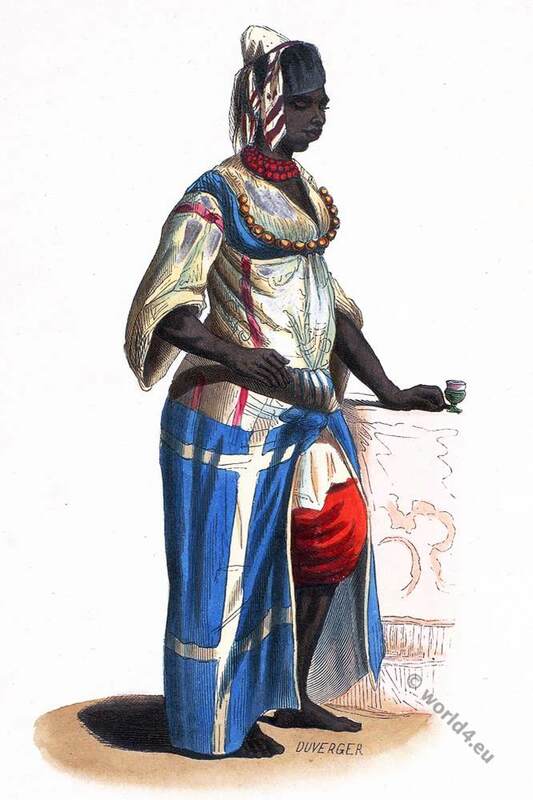 Arabe Bédouin (Afrique). 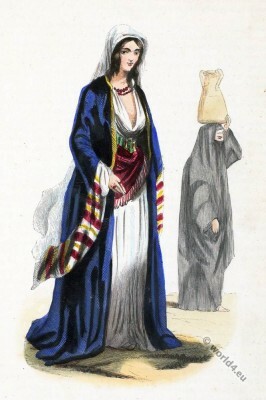 Jewish maid of Algiers. 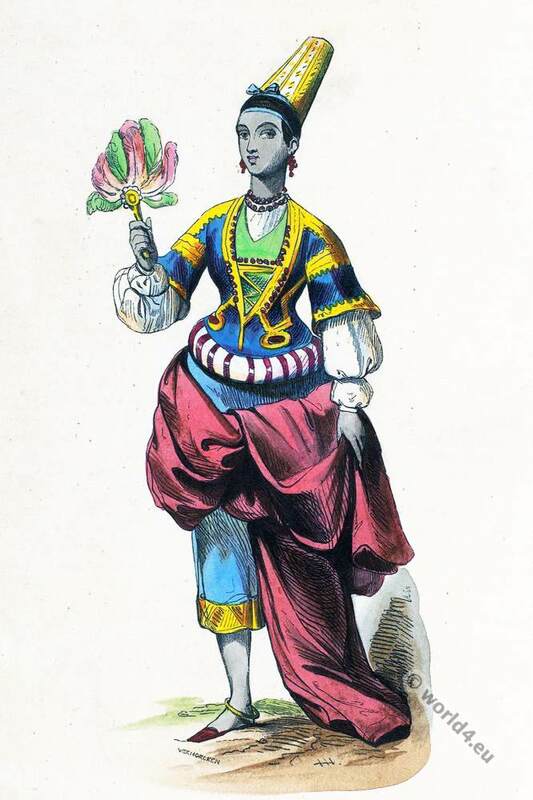 Demoiselle juive d’Alger. Moor from Algeria. More d’Alger. 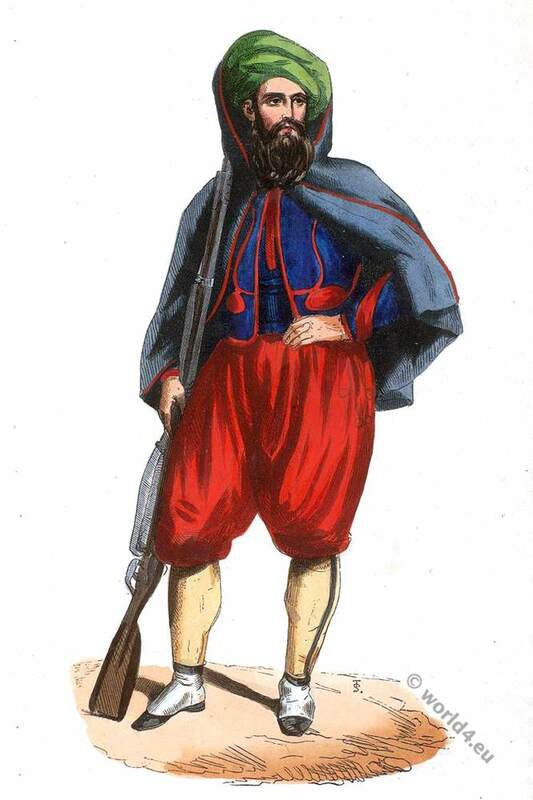 Zouave, light-infantry corps (Algeria). 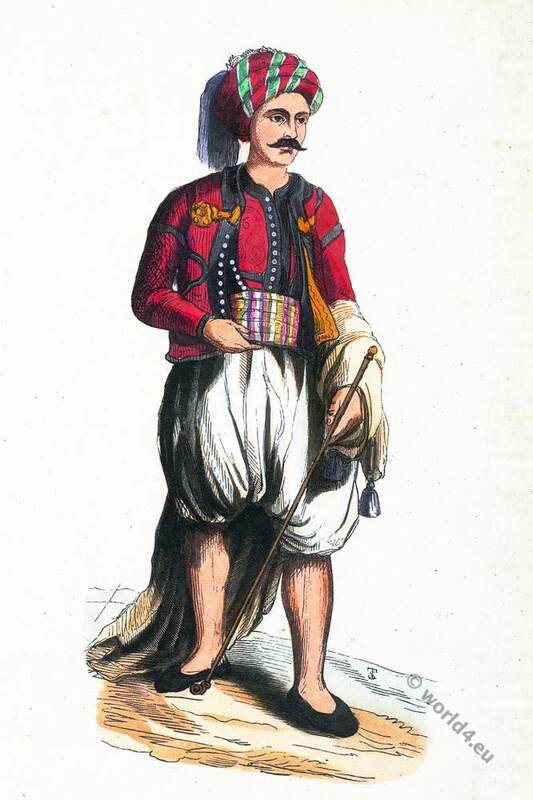 Zouave (Algérie). Regular infantryman Abdel-Kader (Algeria). Fantassin régulier d’Abdel-Kader (Algérie). 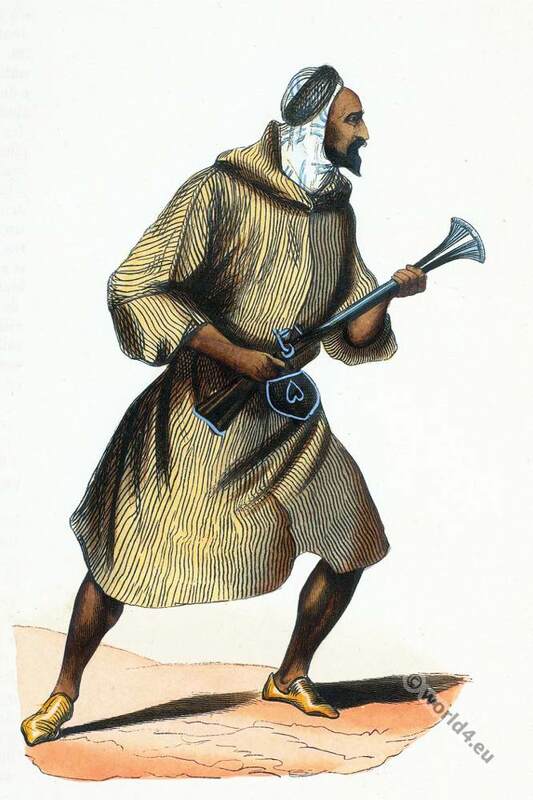 Warrior of the Tuareg. 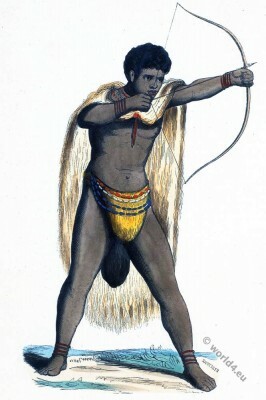 Guerrier de Tuarick. Girl from Timbuktu (Africa). 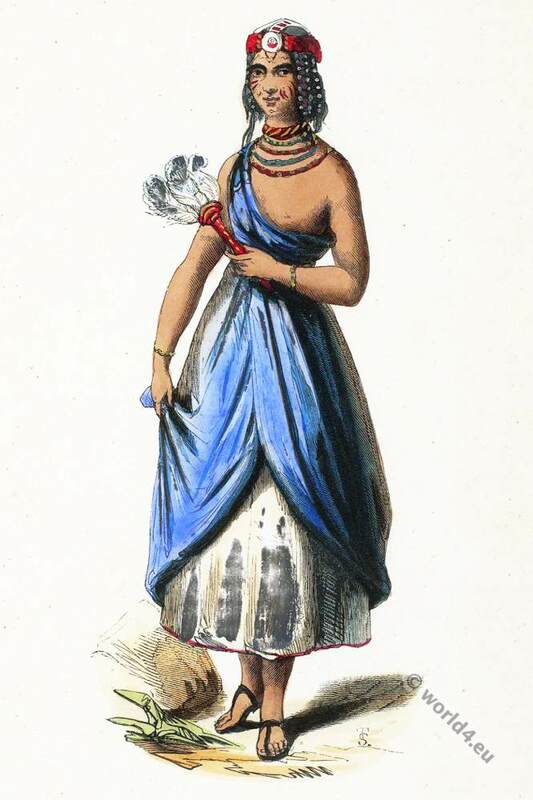 Jeune fille de Timbouctou (Afrique). Young girl from Kano. 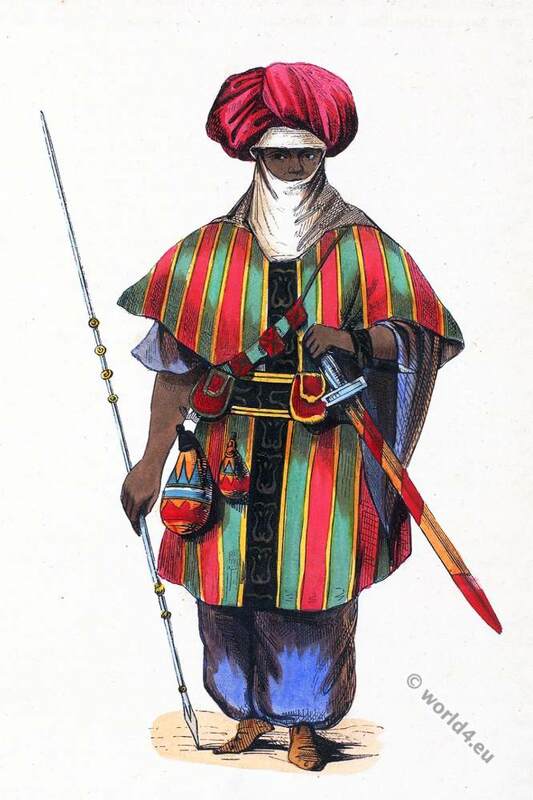 Bornu empire, Sudan. 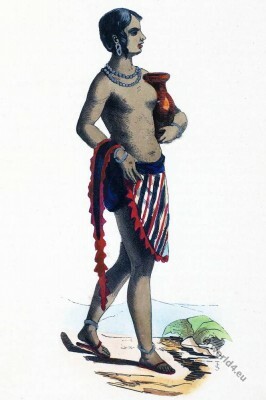 Bournouaise. 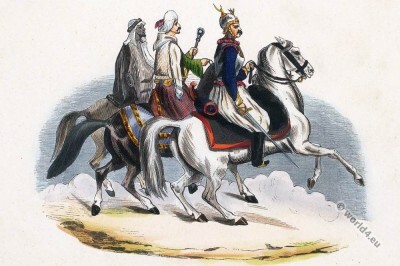 Egyptians Cavaliers. – Cavaliers Égyptiens. Rich woman and woman of the people in Cairo. Egypt. – Femme riche et femme du peuple au Caire. Egypte. Arab Bedouin (Africa). 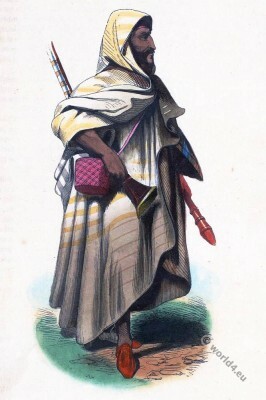 – Arabe Bédouin (Afrique). 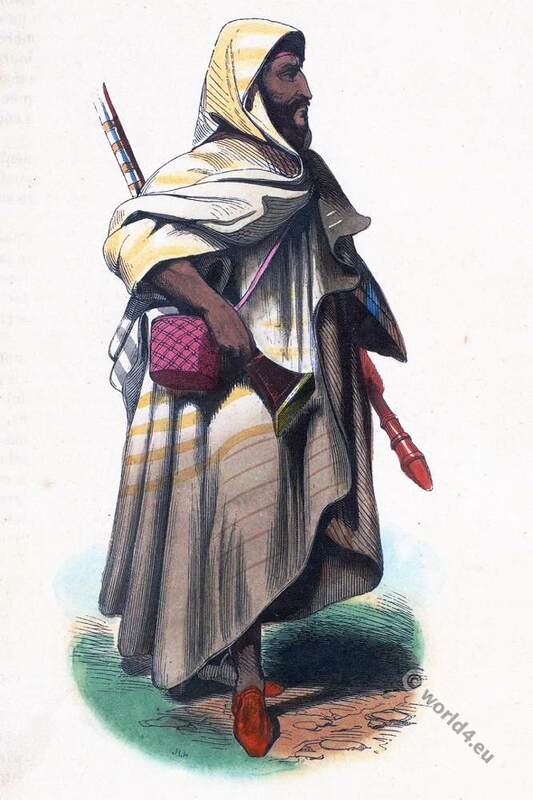 Warrior of the Tuareg. – Guerrier de Tuarick. Girl Socknanaise. – Jeune fille Socknanaise. 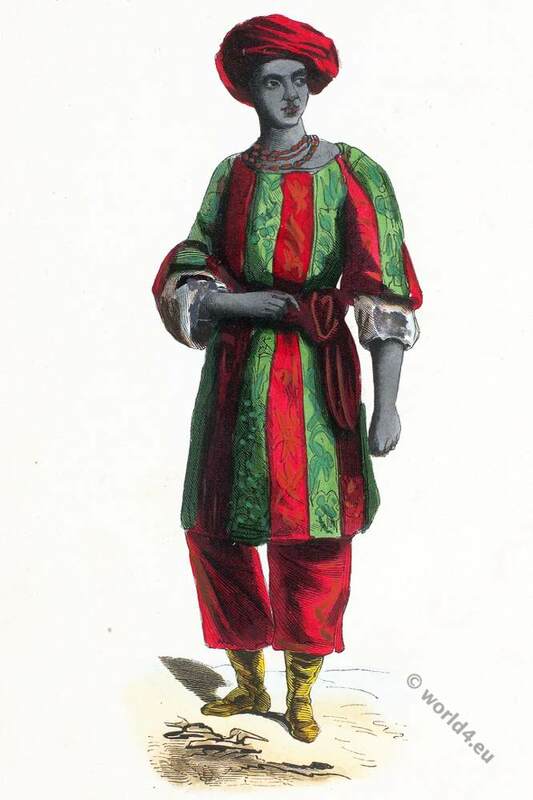 Moor from Algeria. – Morish d’Alger. Moorish merchant. – Marchand maure. Regular infantryman Abdel-Kader (Algeria). – Fantassin régulier d’Abdel-Kader (Algérie). Jewish maid of Algiers. – Demoiselle juive d’Alger. Arabic of the plain (Algeria). – Arabe de la plaine (Algérie). 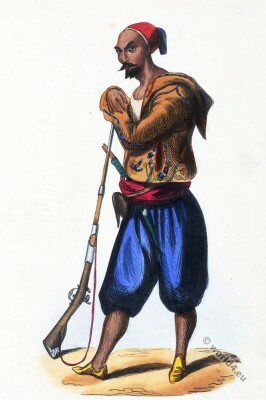 Zouave, light-infantry corps (Algeria). – Zouave (Algérie). Maidservant slave in Algiers. – Esclave servante à Alger. Girl Timbuktu (Africa). – Jeune fille de Timbouctou (Afrique). King of Bussa. – Roi de Boussa. Young girl from Kano. – Jeune fille de Kano. South Africa. A male from Namibia.- Hottentot. South Africa. 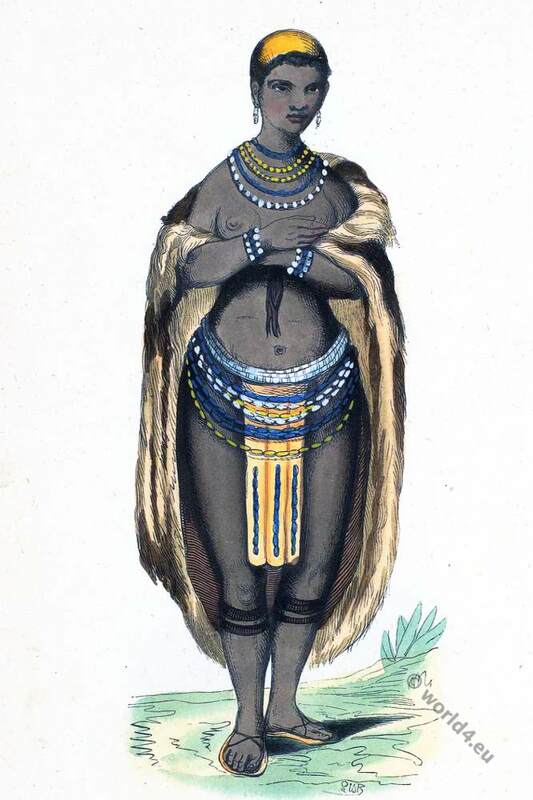 A female from Namibia. – Hottentote. South Africa, Namibia. 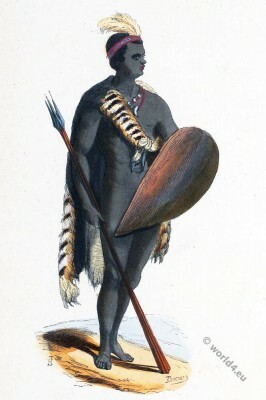 Bantu, Xhosa warrior.- Guerrier cafre.